DOHA, December 12, 2017- On 14th December 2017, the Qatar Olympic Committee will be hosting a Team Qatar flag relay across Qatar to celebrate Qatar National Day. Team Qatar athletes, schoolchildren and inspirational individuals will carry the flag by multiple sporting activities, including running, cycling, sailing, motorbiking, horse-riding and much more to transmit a message of peace, friendship and solidarity through sport. 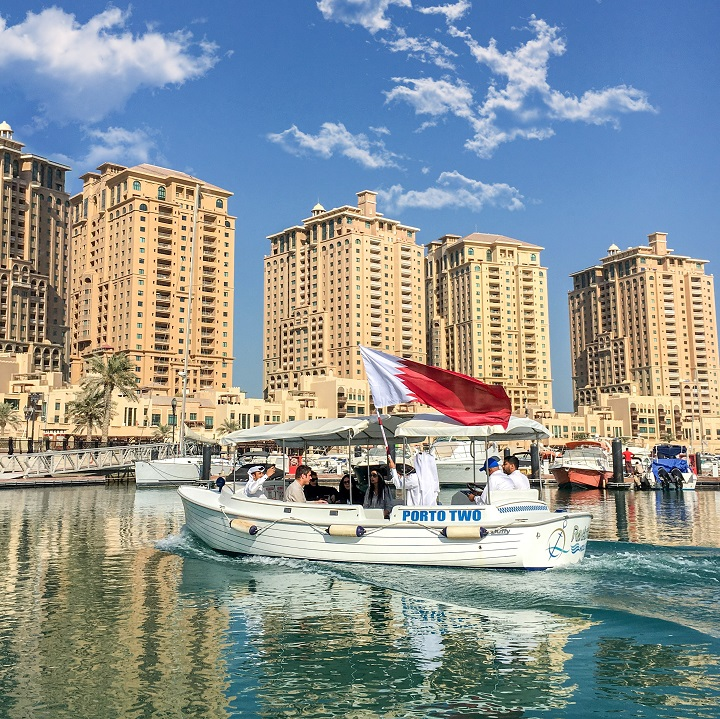 The Team Qatar flag relay will begin at 7am at Sealine Beach in the south of Qatar and will make its way up the Qatar coastline to Al Khor, passing key landmarks along the way, before travelling to Education City, Al Shaqab and the Aspire Zone. The relay will conclude in the evening at approximately 6pm in the heart of Qatar's National Day festivities in Darb Al Saii, with a unifying celebration. The public are welcome to come down to watch the relay as it travels across Qatar at any point along the route. This will be an inspirational, patriotic and unifying day and we are keen to share it with all residents of Qatar! The Flag will arrive at The Pearl - Qatar at around 12:45m and we welcome all residents to come and support the relay event as the Flag passes through Porto Arabia Marina Gate 2 and is then passed to a bearer who will take the Flag on to the Qanat Quartier by water shuttle from Gate 6 to the Stazione Nobili shuttle berth. For further information and timings of this great event, see the Qatar Olymic Committee website or social media.